EDIT: Updated with new options added to MLRawViewer - 11/2015. While some people still believe Magic Lantern and RAW recording on Canon DSLR cameras is hacky, unproven, and unusable in any type of "production" fashion, I'm here to show you how they aren't. You just need to know what to expect and be slightly prepared. 1. You will need a massive amount of hard drive storage on set. Each hour will eat up around ~350-400GBs, depending on the exact resolution & if sound is recorded. Make sure you have a few HDDs. 2. You SHOULD have a DIT on set who does nothing but offload cards and check the MLV files, if the production has the budget or you can wrangle someone to handle this very important task. 3. Each card will only hold between 11-22 min of footage, so you will be switching cards quite a bit. Think of it like you are shooting film, and you have to plan more carefully. It may be a limitation and CAN kill time, but not if you plan around it. Bring a least 3 1066x (or faster) CF cards and\or have an organized and efficient cycle of downloading the CF cards to avoid too much downtime. *Some people swear by 1000x, some by 1066x. Depends on the brand of CF card apparently. 4. While the camera could have the occasional "crash", no need to panic, as cycling the camera on\off or pulling the battery will almost always fix it. Some models (5D Mark II, III) are far more stable than others (7D). This article is written from the perspective of working with the least stable model, and I've had only a few issues. 1. Dump CompactFlash cards onto HDDs on set (connected to laptop). Backing-up to second HDD on-set is recommended. 2. Check files with MLRawViewer (Latest Version as of writing is 1.3.3). This software is great, as it can export ProRes444 (RGB) or DNG sequences from our MLV files. 3. When ready to export files for editorial, open any MLV in MLRawViewer. *6. Hit "Shift + L" to import 3D LUTs to apply directly before import. This is GREAT if you would like to convert your footage to a specific LOG format, or you can directly apply creative LUTS such as OSIRIS or Impulz, although I recommend saving those for your use in your NLE \ color correction application. With the new option to export Log-C gamma, the very standard log "digital" format, typically used on footage captured by Arri Digital cameras. It is our recommended export setting. 8. Hit "W" to choose the export file location of the debayered QT ProRes444 file. 9. Hit "D" until ProRes(444) is shown as an icon, looks similar to Quicktime. 10. Hit "T" to adjust between Rec709, sRGB, Linear, LOG, S-Log, S-Log 2, C-Log, LOG-C (recommended) and HDR gamma curves. I recommend Log-C or Rec709. 11. Hit "C" to add the entire directory of MLV files to the queue with custom WB and exposure corrections automatically applied, or hit "E" to add each file manually with specific exposure and WB changes. 12. Hit "Y" to start processing the MLV files to ProRes444 files synced with audio. 14. You can delete your original MLV files ONLY if you are satisfied with the results of the newly exported ProRes files, but double check them first. Better safe then sorry. 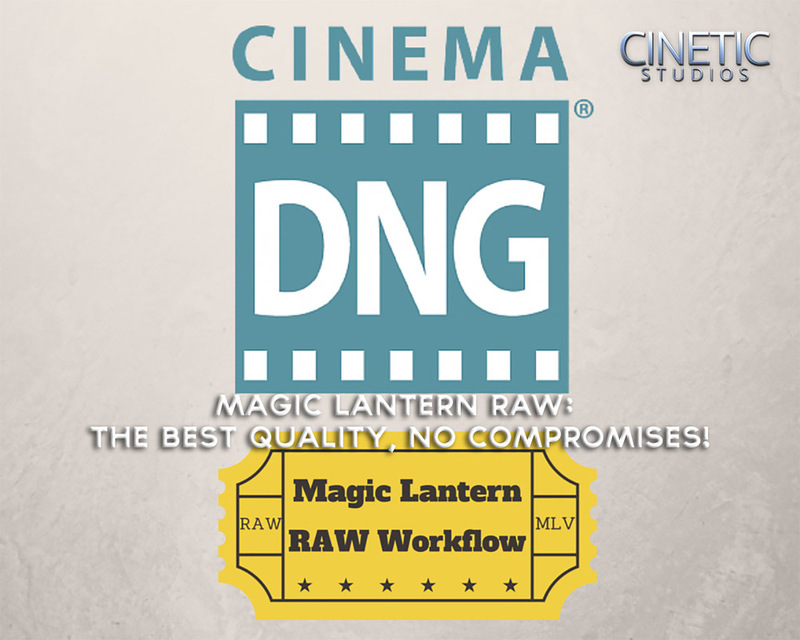 This expedited workflow completely skips over the lengthy DNG\CinemaDNG conversions that occurs using tools like RAWMagic, raw2dng, raw2cdng, MLV Converter, Rawnizer, and even the DNG export feature of MLRawViewer (which it also supports). It has the pros of being quick to start editing and color correction, while maintaining the majority of the color information obtained from the RAW file. It doesn't provide the precision of working with RAW DNG files (adjusting white balance and exposure in post), but it also saves a significant amount of hard drive storage and required far less processing power in the long run. 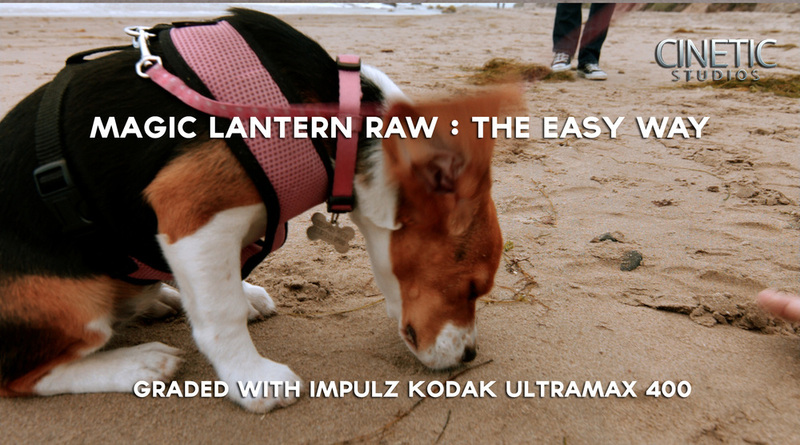 I hope you found this quick walkthrough of my Magic Lantern Raw 2.0 (MLV) to ProRes workflow useful. Please leave a comment or question below. Refer to the MLRawViewer Forum for more information, shortcuts, and updates to the software.